This is not a typical Insight Sheet that was tied to a specific loss for inspiration. 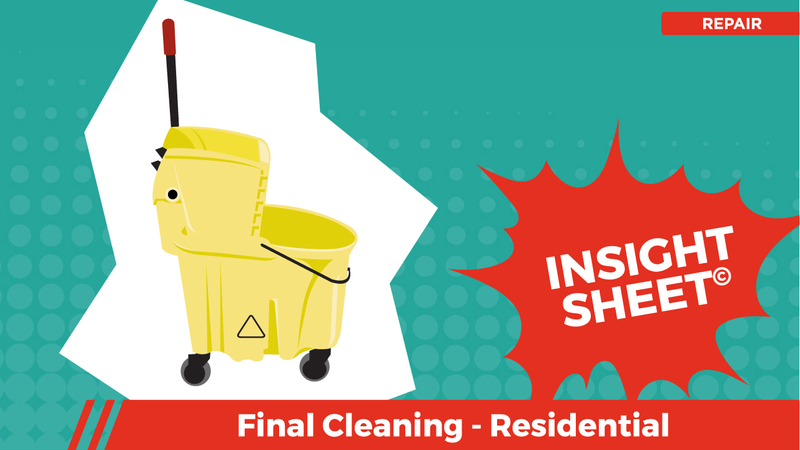 Alternatively, this is an Insight Sheet that seeks to highlight the most common scenarios where final cleaning is warranted in residential environments. This activity is not necessarily a hotly contested concept, however it seems that every carrier and contractor has a different idea about how best to represent these costs. The AIF Board deliberated for some time with an eye toward establishing some proposed set standards. The AIF Board remains confident that the debate over the optimal style will continue for years to come. In the interim, the materially interested parties are encouraged to come to an agreement in a fair and responsible way. 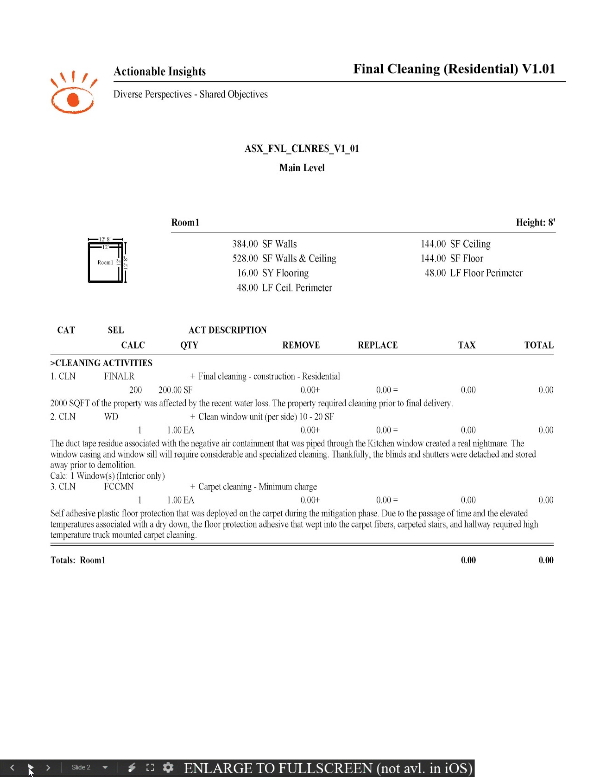 This Insight Sheet exists to clarify how one might invoice for final cleaning in commercial and residential environments. This does not seek to include or make concessions for all equipment and/or activities as it relates to a loss of this nature.